There are many missions and discoveries that have truly reshaped the way we think about the planets, stars, solar system and beyond. However, the Cassini-Huygens mission is arguably one of the most important missions for humankind. 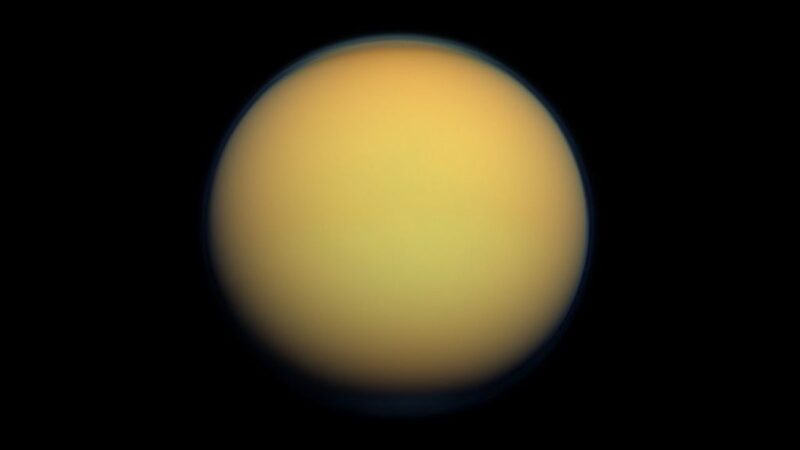 A moon that truly opened our eyes is Titan. It’s Saturn’s largest moon and the only moon in our solar system to have a dense atmosphere. Many people are familiar with our missions to the Moon or Mars but not everyone is familiar with the mission to Titan. We’ll take a look at the story of getting to Titan and its challenges as well as what we were expecting vs. what was found when we took a closer look at Titan. Getting to Titan wasn’t going to be easy and NASA and the European Space Agency (ESA) were already thinking about how to accomplish this in 1982. Remember, Saturn is about 10 AU or 1.44 billion KM from the Sun. The spacecraft will need to travel fast to get there in a decent time and will need to ensure that all the instruments onboard will survive the harshness of space. Fast forward to 1997 and the mission entitled Cassini-Huygens launched for Saturn. 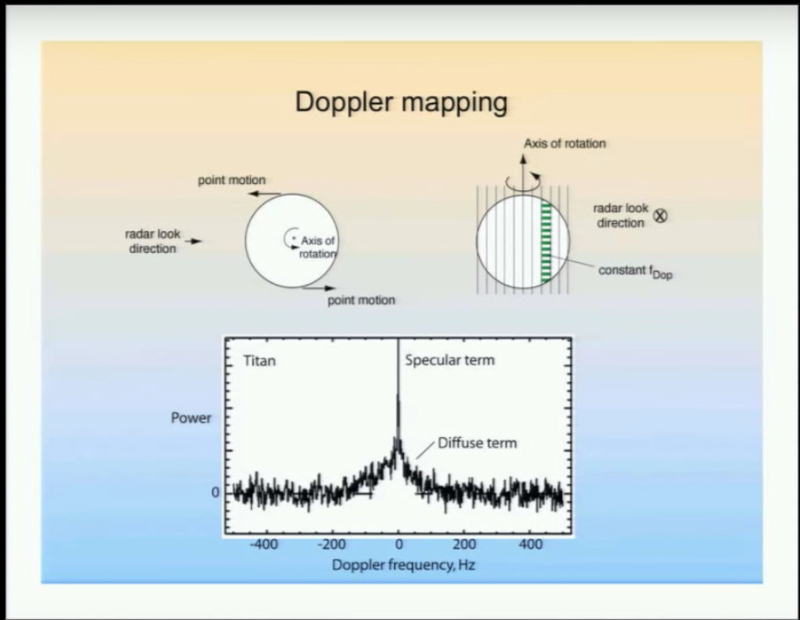 Scientists also tried mapping out Titan using a technique called doppler mapping. What they found is these rigid areas as you see above. This indicated that there were probably oceans. What was interesting is that even these spikes are very tame compared to looking at an ocean on Earth. So they believed that they might see a calm ocean. The other interesting part was the atmosphere. Scientists knew that there would be lots of jet streams and cold frigid temperatures (we are 10 times further away from the Sun than Earth is!) but alas Titan proved us wrong. As the probe made its descent it measured strong variations of -10° C to -20° C which is unusually warm. There are many phenomena contributing to the variation in temperatures such as strong tidal waves or the gravity from Saturn that causes tidal heating. Even then it is still puzzling as it’s 500 KM above the surface. Second Surprise of Titan – Superrotating Winds! We mentioned before about how we would expect some wind activity but didn’t realize how insanely fast the winds are. As the probe descended we took measurements of the winds and they were clocking in at a whopping 430 km/h at a height of 120 KM. This caused the probe to drag to the east. 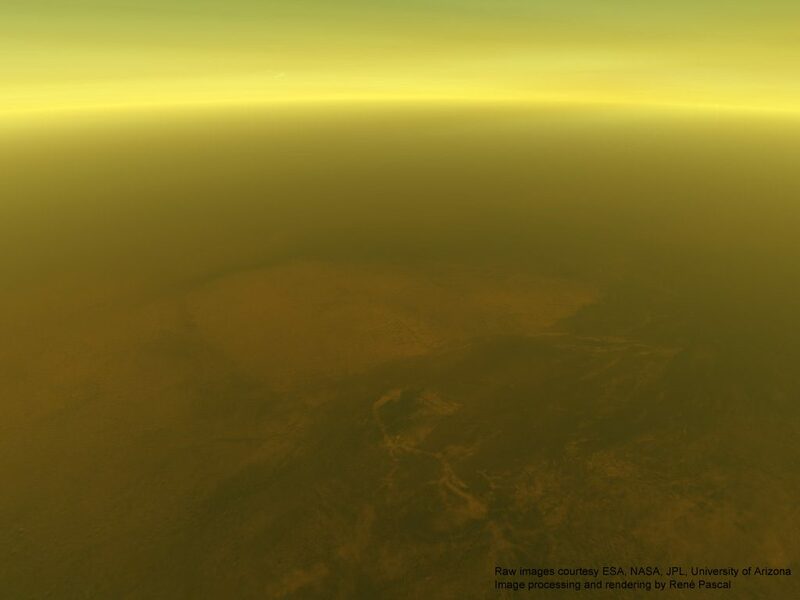 Before we peered beneath Titan’s hazy atmosphere scientists uncovered traces of methane and ethane within Titan’s nitrogen rich atmosphere. At the great distance from the Sun methane and ethane would be in a liquid form due to the frigid temperatures. However, this was not the case when the Huygen probe landed. We now know that Titan has three large seas located close to north pole surrounded by smaller lakes. The southern pole also shows just one large lake. 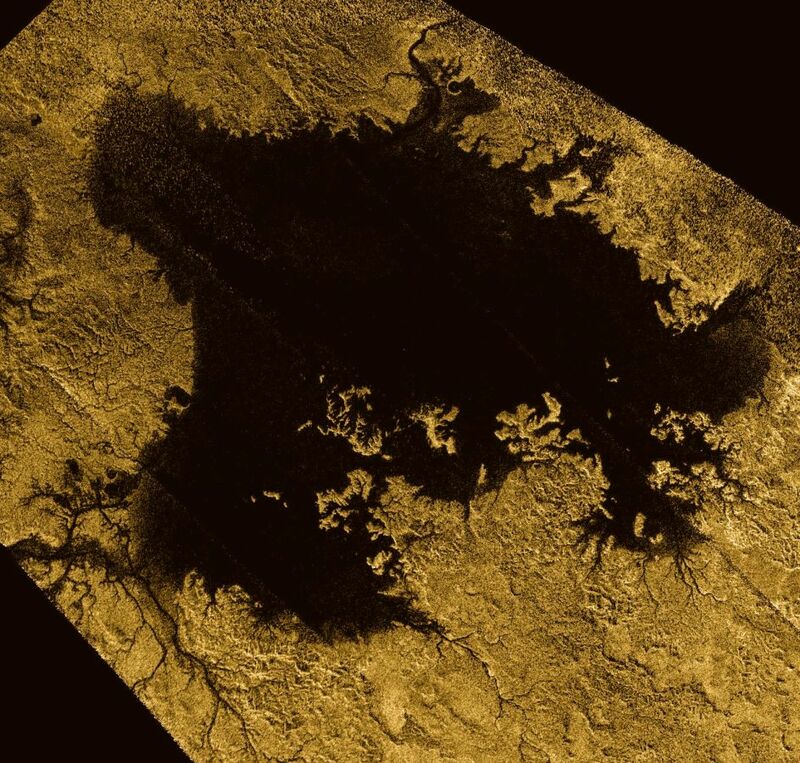 In 2013 the Cassini team conducted an experiment that would bounce radio signals off Ligeia that would help them understand this lake better. This resulted in the first ever detection of the bottom of an extraterrestrial sea. The scientists found that the bottom of sea went as far as 160 meters (525 feet). 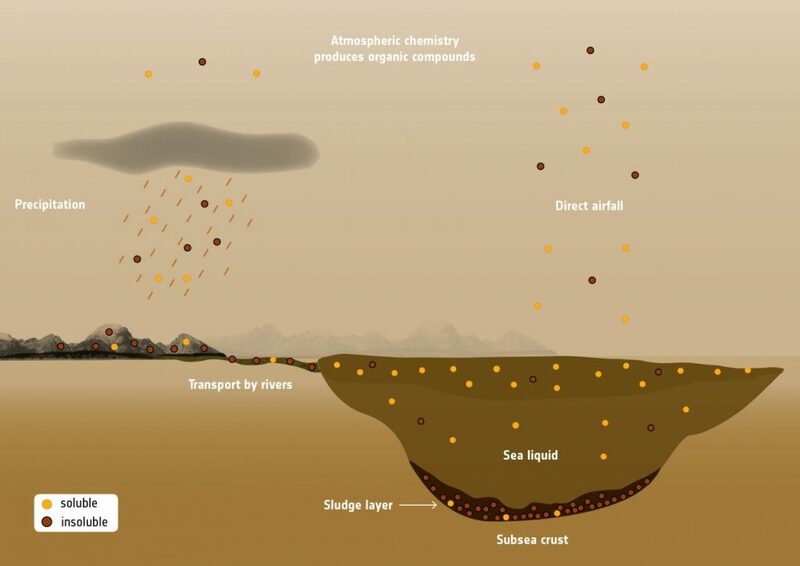 They also found that the seabed of Ligeia Mare was likely covered by a sludge layer of organic-rich compounds. Since Cassini’s arrival to Saturn in 2004 and deploying the Huygens probe on Titan we have learned incredible knowledge about this moon. It is the farthest humans have ever landed a probe as well as shown us how similar to Earth it is. One of the main questions for astronomy and science is understanding if there is life out there and if we are alone. Titan has shown us that life may not only exist on planets but on moons too. This multiplies our chances of answering those questions by tenfold.